We’ve taken on a few DIY projects lately, from a cursory attempt at painting the bathroom, to painting the kitchen floor, to renovating the conservatory last year. We always go to Homebase for our DIY bits, but over the last few months I’ve noticed that as well as selling a great range of paint, materials and other less exciting purchases, they’ve really stepped up their game in terms of homewares too – their ranges of kitchenware, lighting, decorative pieces and storage in particular have some really lovely pieces and I’ve pulled together a little list of some of my favourites. 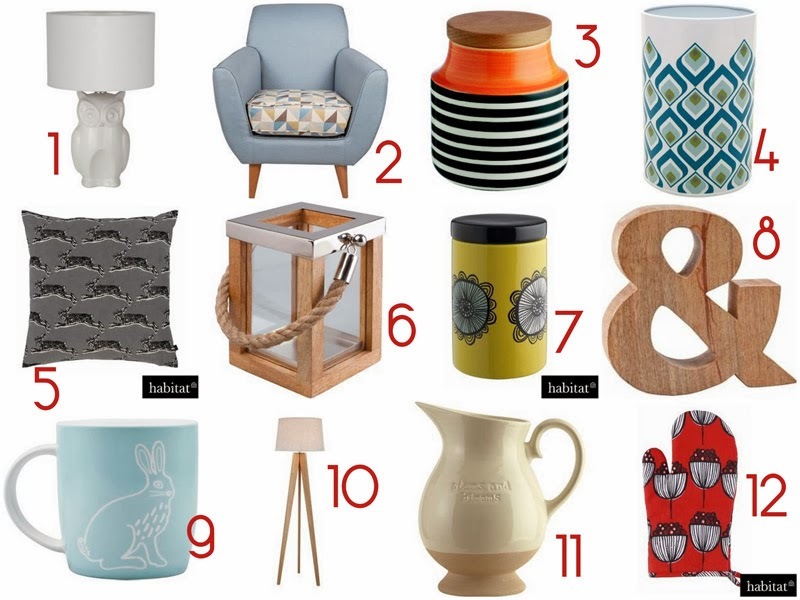 In particular I absolutely love that retro looking chair and the hare cushion! I’ve hardly been buying any clothes lately and my money is going towards saving for the wedding, saving for a holiday and filling our house with nice things to make it more homely. We’ve got to the point now though where we have a lot of ornaments and pretty little additions and we’re saving for some more big ticket items! We might be getting a little bit of money coming our way over the next few months and we’d love to get a wood-burning stove or (less excitingly), we’ve also been looking at tumble dryers. Being an adult is sometimes a little boring, huh? I hope you like my Homebase picks – if you’d like to see any more I’ve also been gathering together a little pinterest board of favourites! Where’s your favourite place to get cute homewares?